The SCA Network is an online community for sudden cardiac arrest survivors, families affected by SCA, healthcare professionals, lay rescuers and other advocates. Join today to find others with similar experiences and interests, to provide mutual support, and to post blogs and forum posts. The SCA Member Blogs is an online sudden cardiac arrest discussion area for community members. Once you have registered as a member of the community, share your experiences and insights and offer support to other members. Join the conversation today. We see it in the news far too often: A student is at football practice, or playing lacrosse, or just walking to class when he suddenly collapses and dies from sudden cardiac arrest. When a tragedy like this happens, people often think there’s nothing they can do. But there is. Colleges are microcosms of the community at large. As such, they should be prepared to prevent death and disability from SCA among students, staff and visitors. This includes ensuring that AEDs are strategically placed on campus and with athletic teams. Take a Step for Survival! Join or Support Our Team Today. Sudden cardiac arrest affects more than 1,000 people outside hospitals each day in the U.S. and only 10 percent survive. 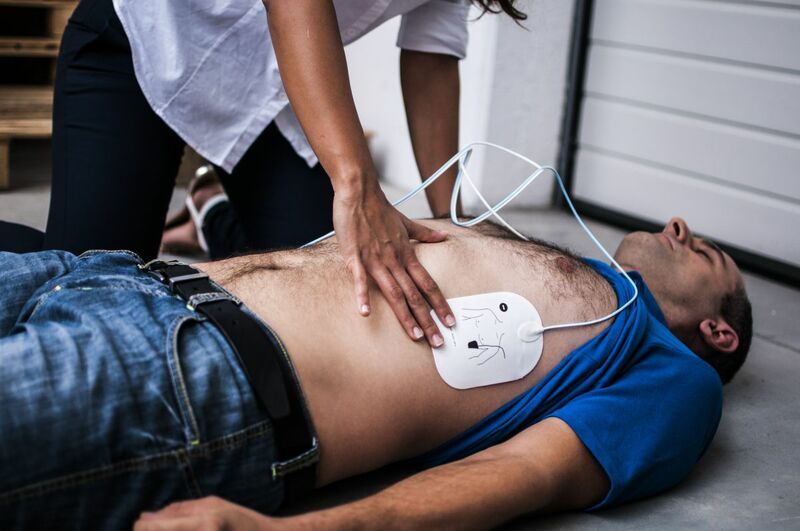 When bystanders provide CPR and use automated external defibrillators before EMS arrives, about 40 percent of victims survive. If the national survival rate increased to 40 percent, about 100,000 additional people could be saved each year. Read more. Sudden cardiac arrest is different from a heart attack. Understanding the difference could save your life--or the life of someone you love. Read more. Find out why you should use CPR and an AED to help a victim of sudden cardiac arrest. For more information, visit Call-Push-Shock. To read about the People Saving People Award Nominees Click Here. To read about the 2017 People Saving People Award Winner Click Here. We have your expert sources.